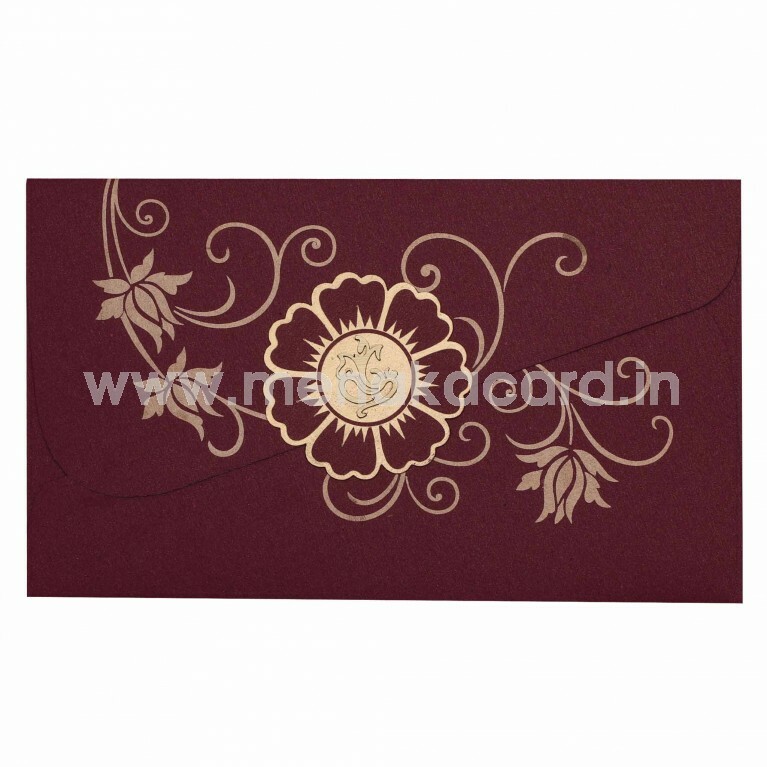 This exclusive diagonal cut laptop folding card is made from a gorgeous maroon shimmer board material with beautiful art deco lotus floral design printed on it gold ink. The main flap holds a beautiful flower design that houses contemporary laser-cut Ganesha at the centre. 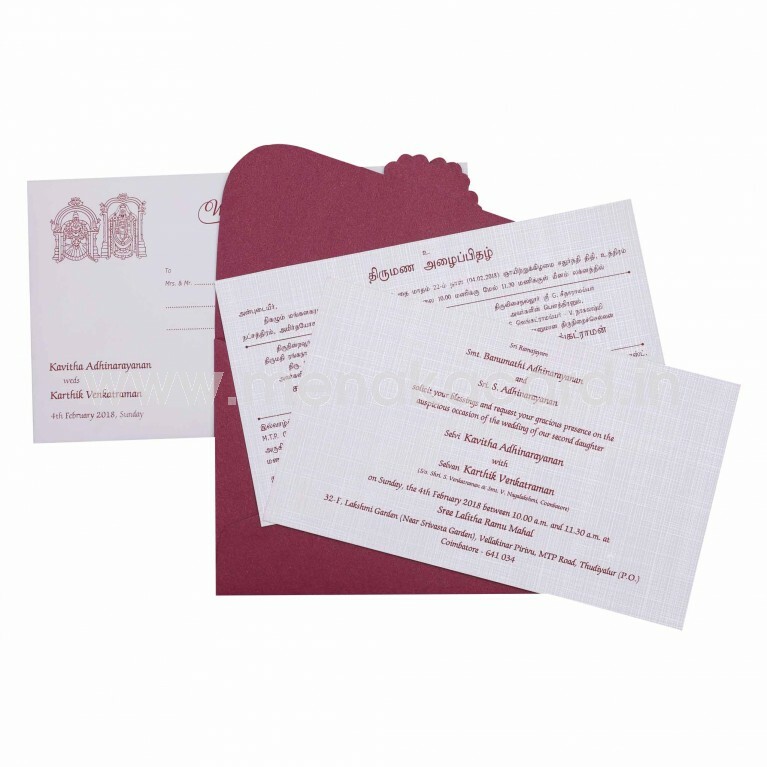 The card holder holds two off-white shimmer board inserts with contrasting deep maroon text content. 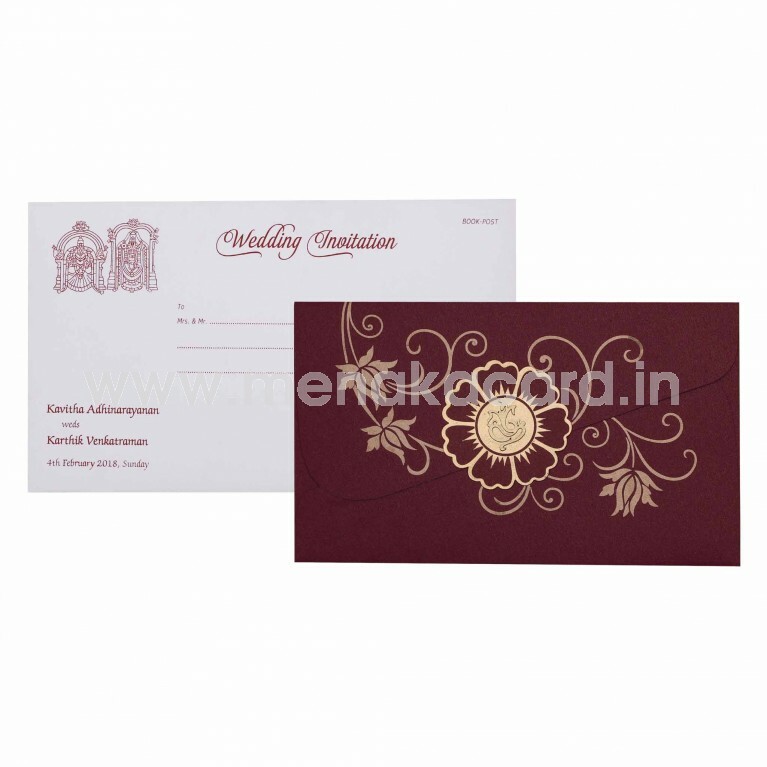 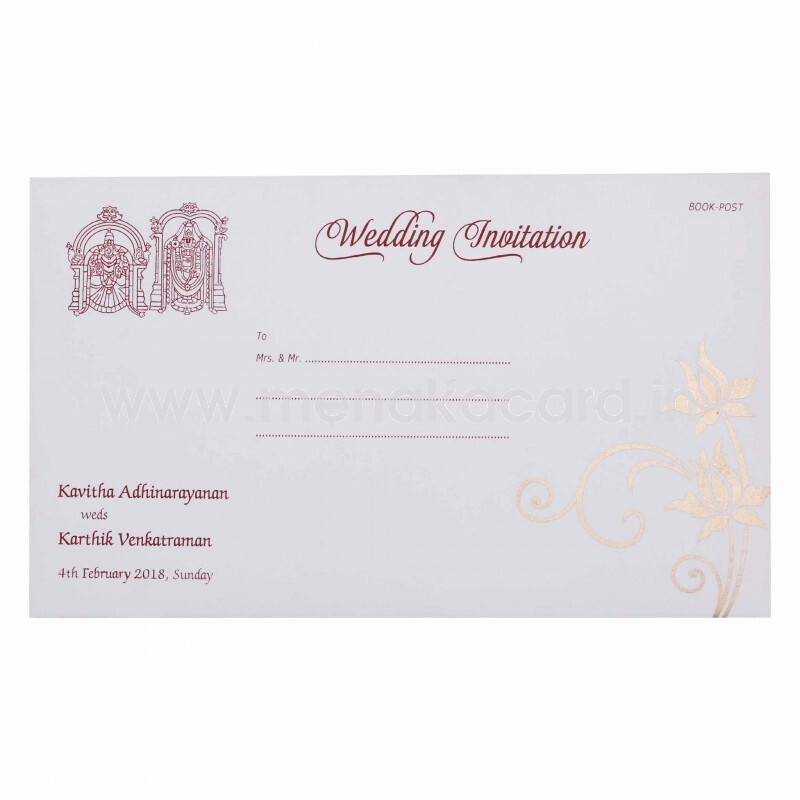 The envelope is a shiny off-white shimmer board containing designs set in deep maroon as well carrying a gold lotus motif on the side. 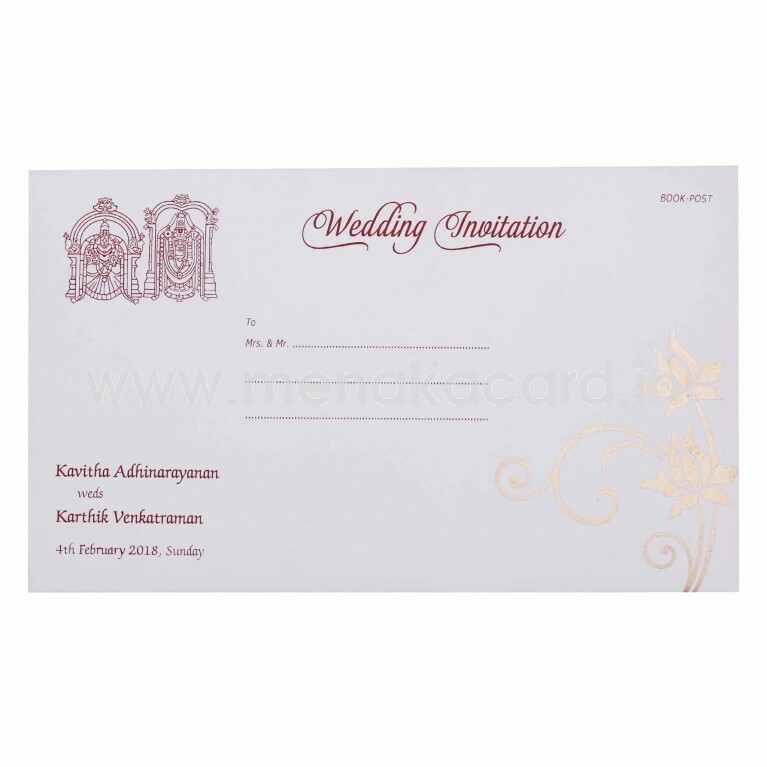 This can be used for personal wedding invitations and also for engagements and receptions.